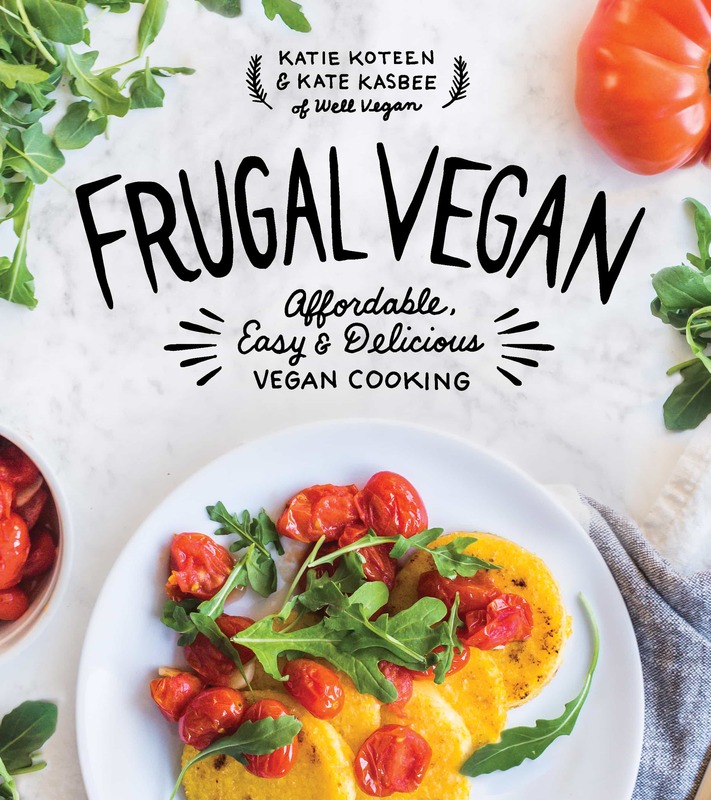 Hey guys, it has been awhile since I have done a cookbook review and today, I’ll be introducing you to Katie Koteen and Kate Kasbee’s new book, Frugal Vegan. You know me, I don’t just review a book. 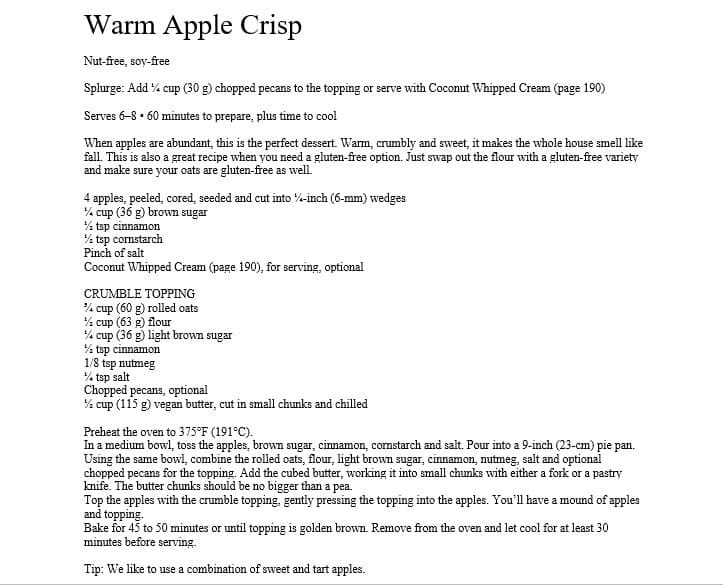 I actually pick a recipe out of it and make it! I am crazy about fall and yes, it’s only August, but I am sooo ready for fall recipe creations. 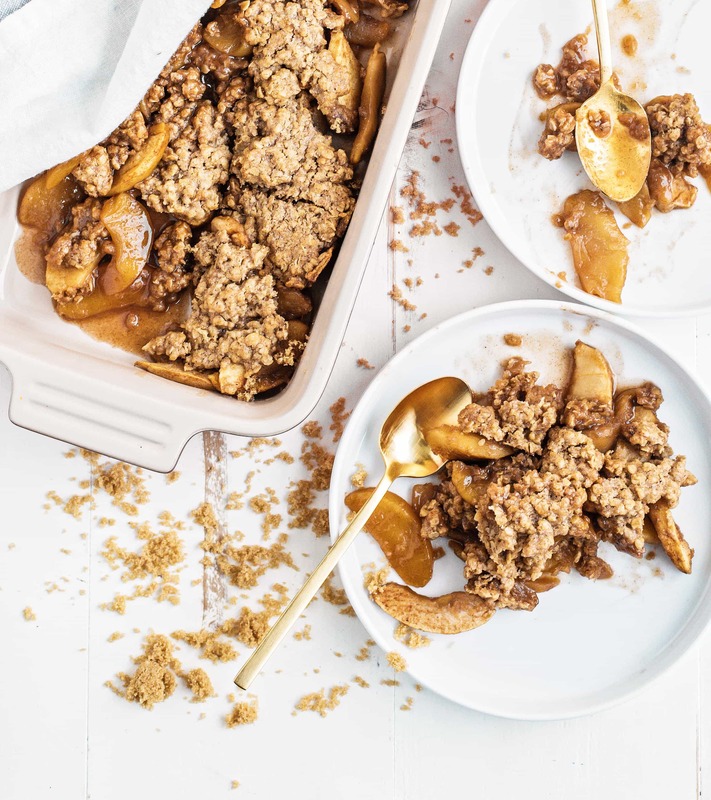 I recreated this Warm Apple Crisp from Frugal Vegan and here’s how it looked. It was absolutely delicious served with vegan vanilla ice cream. Yum!!! If you didn’t already know, Katie and Kate are the bloggers behind the website Well Vegan, a vegan meal planning and recipe website that focuses on making healthy, easy, and affordable vegan food. I’ll link their blog and social media accounts at the end of this post. The book strives to help you live a healthy vegan lifestyle without breaking the bank. The 99 affordable and delicious plant-based recipes in Frugal Vegan teach you how to avoid pricey perishables and special ingredients, and still enjoy nutritious, exciting food at every meal. Learn the tips and tricks to creating plant-based cuisine on a budget and fill yourself up with a delicious feast. Go check it out! With recipes like Gooey Mushroom Quesadillas, BBQ Chickpea Sliders, Cuban Black Bean Bowl, Minestrone Soup and Salted Peanut Butter Popcorn, there is literally something for everyone in this cookbook. 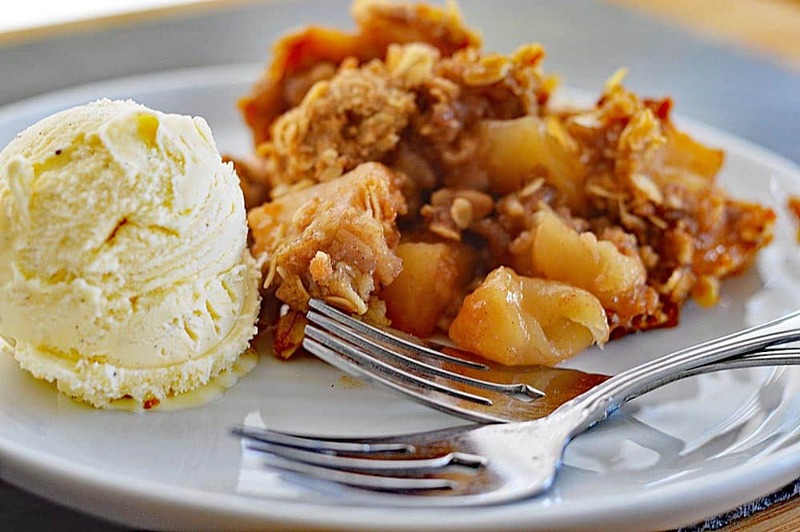 My Warm Apple Crisp didn’t quite get the beautifully plated treatment as seen in the book, but it was so good and the house smells AMAZING! Click here to purchase your own copy of Frugal Vegan! *Disclaimer: I was gifted an advance copy of Frugal Vegan for my honest review.